BATON ROUGE, LA (WAFB) - The streets of Baton Rouge were full of supporters cheering on their loved ones Sunday as they raced for victory in the Louisiana Marathon and half marathon. 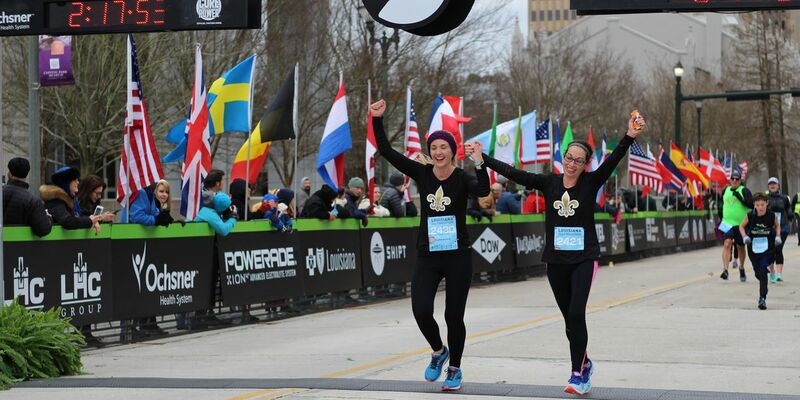 Easily one of the most talked about multi-race events in the capital city, The Louisiana Marathon offered family friendly races, fitness expos, a food festival, and all the live music needed to get the runners minds off the miles. WAFB’S very own Liz Koh, Lauren Westbrook, and Rick Portier were among the runners. Half-Marathon winner - Keith Kotar of Aledo, TX. Kotar was the 1st runner to cross the finish line. Full Marathon winner - Taylor Simoneaux. First female Full Marathon finisher - Rachel Booth. Booth also qualified for the Olympics. Also among the runners was Des Linden, the winner of the 2018 Boston Marathon. Linden, a California native, became the first American in 33 years to win the women’s category in the Boston Marathon. You can view photos from the marathon in the slideshow below.